We believe everyone should have the tools necessary to repair their credit errors! Try CreditDetailer today and see how amazing simple it is to manage all the steps throughout the credit repair process. 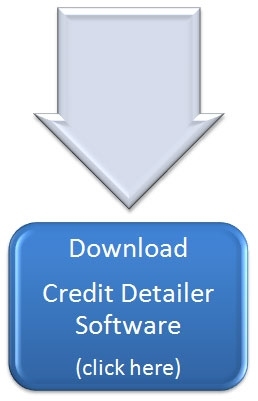 Give Credit Detailer a test drive and see you'll see why others have switched from HDTI, Credit Money Machine, Credit CRM, and Dispute Suite to the Credit Detailer Automated Way! -Run the file called "SETUP"
Use Activation Code TRYFORFREE on the activation screen to get a 14 day free trial. After 14 days, the software will revert to "Demo" mode again. After payment is collected, you will get your own unique Activation Code and you will be able to pick up where you left off.